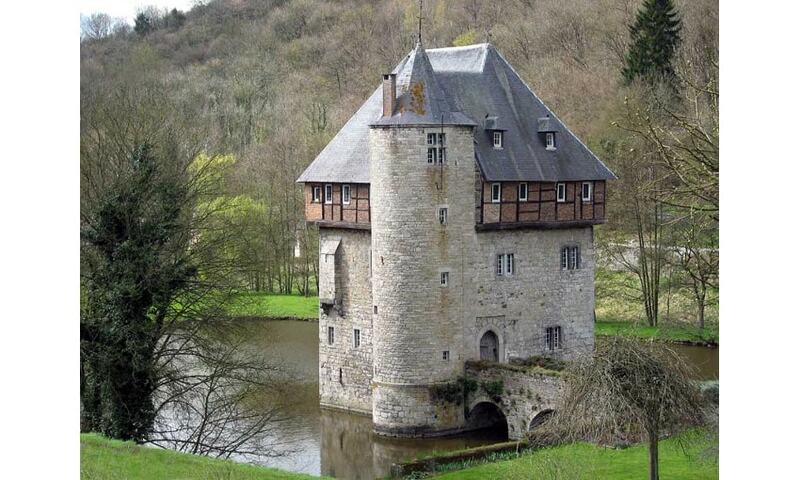 Crupet Castle, also known as Carondelet Castle dates back to the 11th or 12th century. It now stands in a little lake and is connected to its bailey by a stone arched bridge. Originally, the castle was built as a squat keep with 3 floors out of limestone, equipped with battlements and a wall walk. Later in the 16th century, it was transformed into a castle farm and several elements were added: the stair tower on its corner, an extra floor with a new roof and Renaissance style windows. 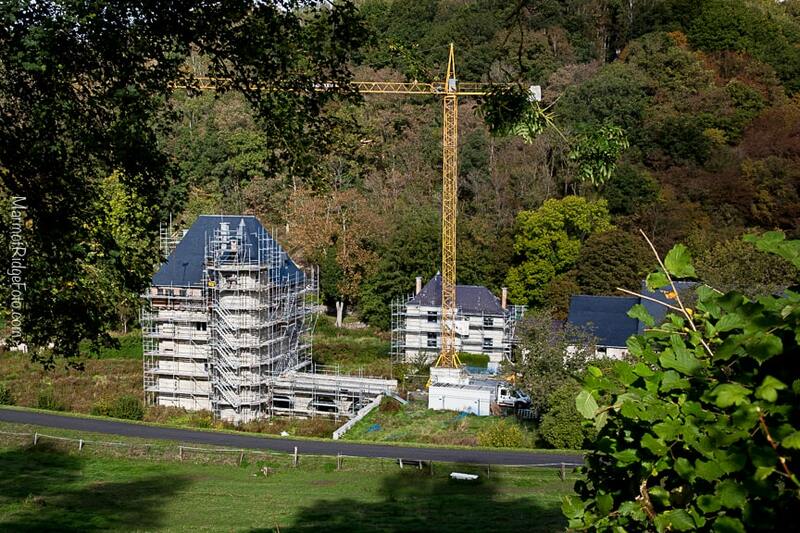 The castle was in the process of being extensively renovated when seen by me (from a distance) in October 2017. I don't know if the renovations have been completed by now (summer 2018).